Knowledgeable computer users will tell you it’s not the best idea to have more than one Antivirus or Internet security package running at the same time on your PC. They usually don’t like each other and can cause system instability, degrade performance and maybe even cause viruses not to be identified correctly. There are a few reported applications that work together with their real time protection running, but for the most part, it’s a bad idea. For this reason, it’s very important that any previously installed antivirus software is uninstalled from your system before proceeding with the installation of the next antivirus that you would like to install. The possible exception is having one piece of software to do the main job of actively watching for the threats, and another software to act as an on demand second line of defense scanner to manually scan once in a while. 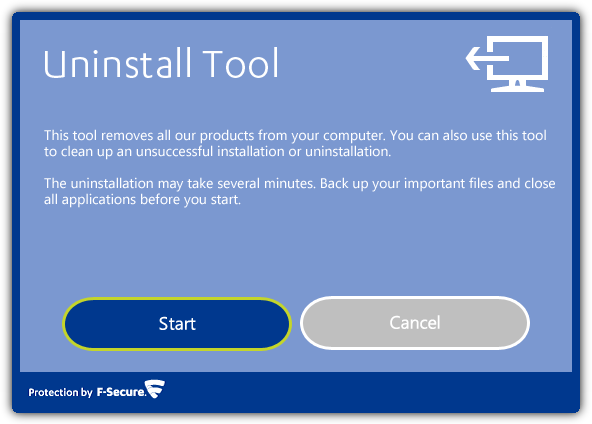 Security software not removing itself completely before installing something else, either because or a poorly programmed uninstaller or a crash/hang during the uninstall process is a major cause of problems encountered when installing a new package. 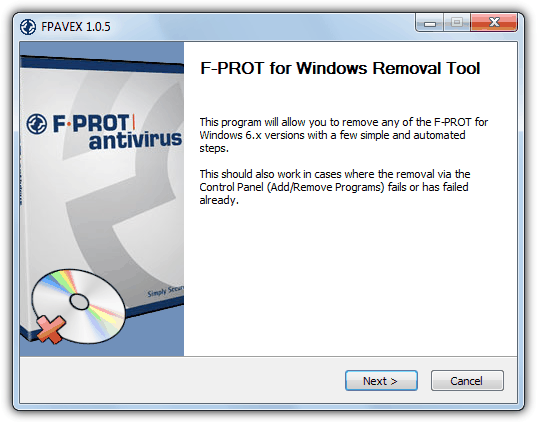 It’s worth pointing out that programs like Revo Uninstaller, IOBit Uninstaller and Advanced Uninstaller Pro which do a good job of removing remnants left behind from a lot of of software, may be able to remove enough to stop any errors or crashes, but it’s no guarantee. 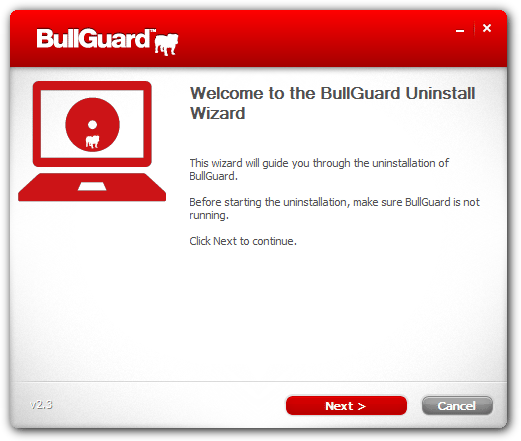 If you have used a program like this to uninstall an Antivirus or Firewall and still have problems, then try one of the dedicated removal tools below. AppRemover deserves a mention because it claims to remove several security applications from one single portable executable. 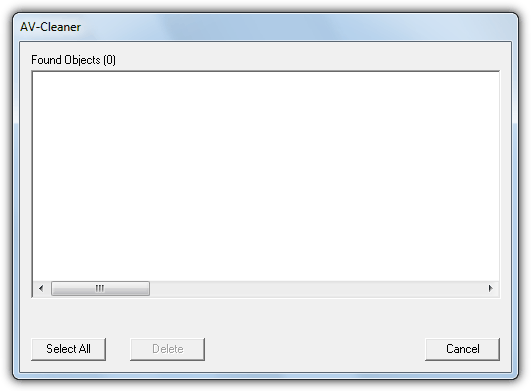 Although it by no means supports the removal of all products listed here, there is still a lot that AppRemover can possibly remove. Visit the Supported Applications page for the full list. 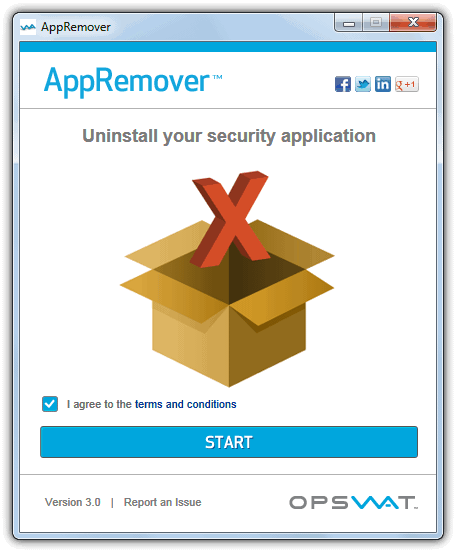 While AppRemover does seem to generally do a good job, this is perhaps a tool to be used if you still have issues after trying an official removal tool because there could possibly be leftovers of other security software still causing a problem. The general consensus seems to be AppRemover is a useful tool to have, but results seems to be rather mixed after using it. Supports all Avast products including v4 – v8 (free and paid) of Antivirus and Internet Security, BART CD Manager, Managed Client and Home Server. Special Note: Needs to be started from Safe Mode, the program will offer to reboot you into Safe Mode on launch. 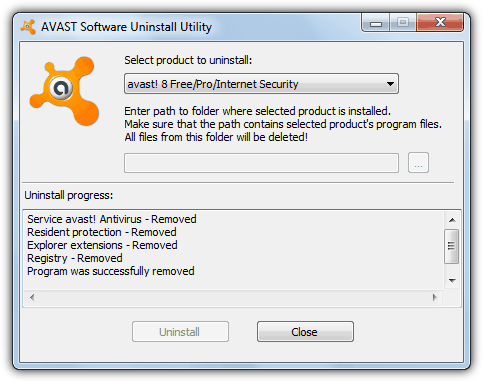 If you did not install the Avast product to the default install location, you need to point to it in the box. Supports all AVG products. The Remover Tool is usually the top two links on the page. Make sure to download the correct 32-bit or 64-bit version. Currently there are separate removers AVG 2012 and 2013 products. Avira’s removal tool is more of a registry cleaner to clean any left over keys the software has created. It scans HKEY_CURRENT_USER and HKEY_LOCAL_MACHINE by default. If you need to expand the search, click the Configuration button and select the other keys. 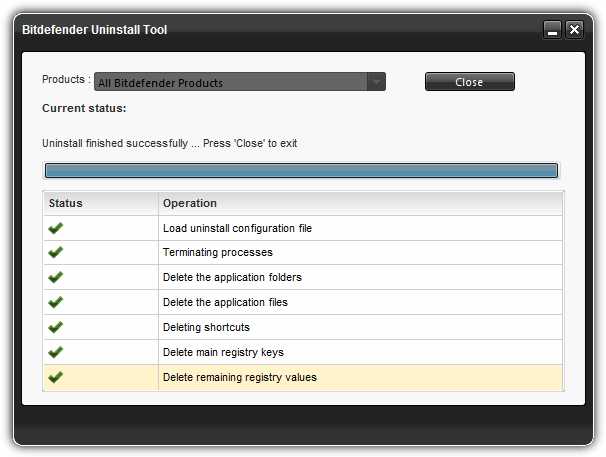 The Bitdefender Uninstall Tool has different versions for just about all ranges of the software. There is support for all (Free) Antivirus, Internet Security and Total Security products between 2008 and 2013, as well as the business software and trials. Just make sure you download the correct tool for your antivirus package. 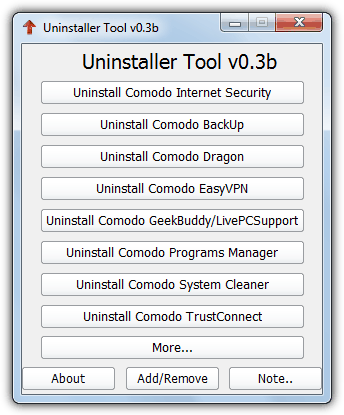 Note: The Comodo Uninstaller Tool can be used to remove a number of products made by Comodo but is not an official product. It is developed by the community in their forums, and is recommended to read the thread to see if your product is supported for removal. Therefore, use this program at your own risk. Note: As you can see, there’s a captcha to fill in, just enter the numbers and click Remove to uninstall the antivirus software. Supports removal of NOD32 Antivirus, ESET Smart Security and Endpoint products. Note: The utility needs to be started from Safe Mode. When it finds an Eset installation, you need to press the specified number key (usually no. 1). Supports F-Secure Service Platform versions 5 – 8, F-Secure Anti-Virus and F-Secure Internet Security 2005 – 2013, and Protection Services versions 3 – 9. More information can be found in the included Readme file. Supports all current G-Data products. 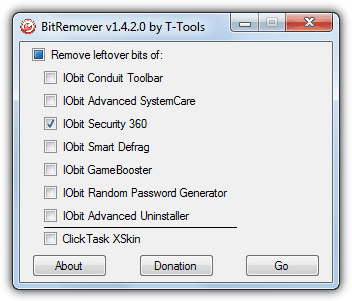 Note: The BitRemover utility is a third party removal tool that can cleanup after several IObit products, including Security 360. The tool is not connected to IObit themselves, so use this at your own risk. Thanks Ray, I would suggest to disable Self Defense , turn off/exit the Antivirus Software & then Uninstall/remove it ! How it sounds ?? That is a good way to do it but even that doesn’t stop antivirus software leaving traces of itself all over the operating system, so these tools are still useful. Hi, Thanks RAY for the quick response . Actually, I was suggesting/asking that in addition. I have no doubt over Removal Tools usefullness. ( I used Kaspersky Removal Tool perfectly but, there were some leftovers. They were not problematic and came to the eye after an year or so !) Thanks & Regards. Very Informative link of “antivirus removers”. I’m just one of many that you have helped tremendously and very appreciative! Thanks! Your contributions make life much easier in cyberspace. Thanks for the great links! Very helpful. Very good and useful article! Thanks for the hardwork. Congrats! thanks a lot, ray. 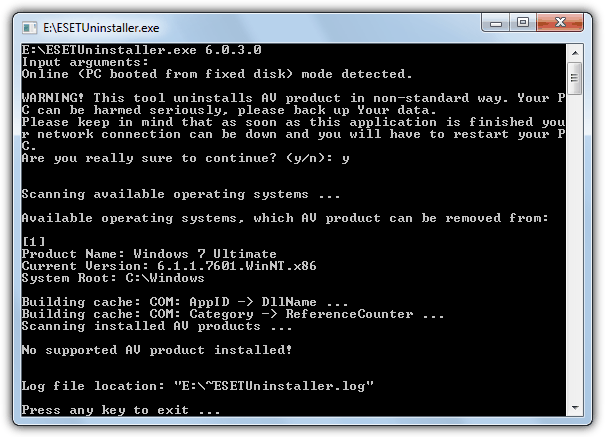 i was recently having loads of trouble to uninstall my kaspersky. You are a life saver. Hey what can i say keep up the good work. Nice article. I have one similar but I had never heard of the AppRemover. Thanks! A VERY useful list Raymond – THANK YOU ! One of the best posts in a long time. This one is sure to be bookmarked as everyone at one time or another has the need to uninstall one of these products. Good find and will be handy for people. wow, great finds, thanks for the info ray! hi, thanks for updating, it is very useful in my work. Raymond….this is great info…Thank you Raymond!!! Today’s list of uninstallers is another good example why I have created a folder just for your newsletter, which is also the first thing I read every morning. Thank you for all your hard work and I constantly refer to your information. i too have problems uninstalling antivirus. but it’s good to have all at one place. Some antivirus engine should be cleanly removed and these applications are really handy in order to not create conflict when we choose to install another antivirus. thanks raymond great article ,i always get problems when uninstalling AVG it is bad even when remove . hi ray…..this is pretty much needed by everyone i suppose….thanks….